Perched on polished 22-inch aluminum wheels shod with 325/55R-22 tires, this glitzy beast looks as if it could conquer anything—and it certainly has the mechanicals to cash the check the styling writes. Rarely have we experienced a vehicle that tackles off-road challenges with such ease. Craggy rocks, nasty holes, and muddy swampy bogs are simply nonissues, and there is so much ground clearance—17.7 inches—that chances are any bush you drive over will emerge unscathed. As with every G-class, a low-range transfer case is standard, as are locking front, center, and rear differentials. The hiss of the AMG-sourced 621-hp V-12 is muffled and refined for this Maybach application, but it’s still clearly audible. It serves as an appropriate indicator of the performance capabilities: The G650 Landaulet will charge to 60 mph in well under six seconds by Mercedes’ reckoning, and the company says it could top 150 mph if it weren’t governed at 112 mph (good idea, that). 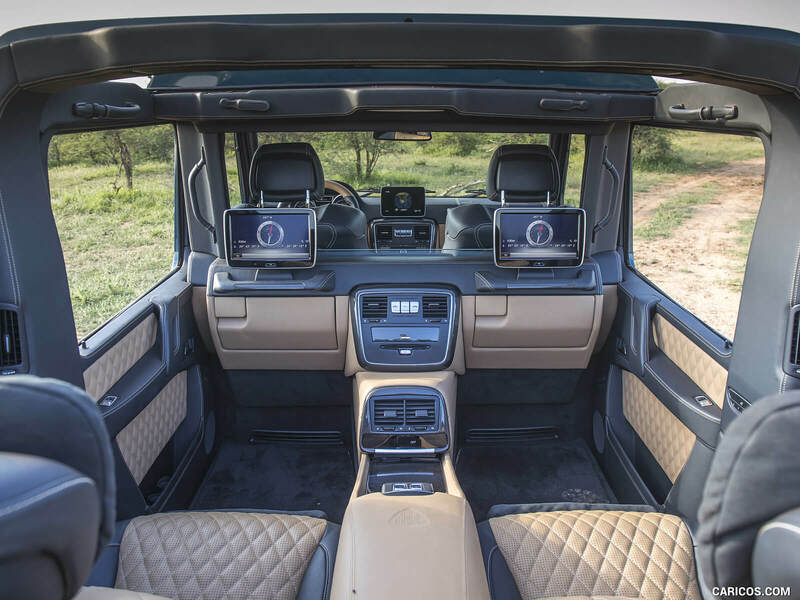 Speed is not the primary goal of this G-wagen, but if the order arrives from the rear seat, the chauffeur can hurl it forward with gusto. 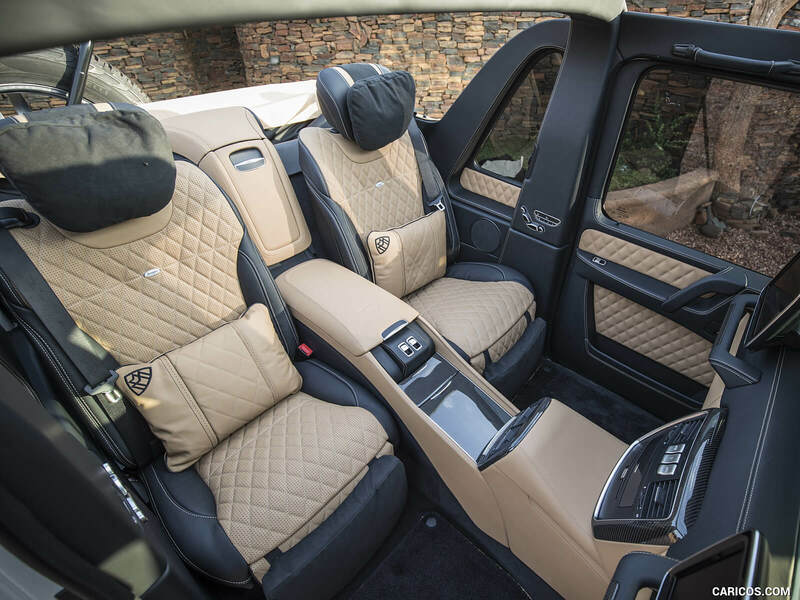 The G650 Landaulet forward cabin is relatively unchanged from that of a regular and fully optioned G-wagen; the instruments and switches have been taken from various Mercedes vehicles, and the surroundings are charmingly old-fashioned, elemental, and a far cry from any other modern SUV. 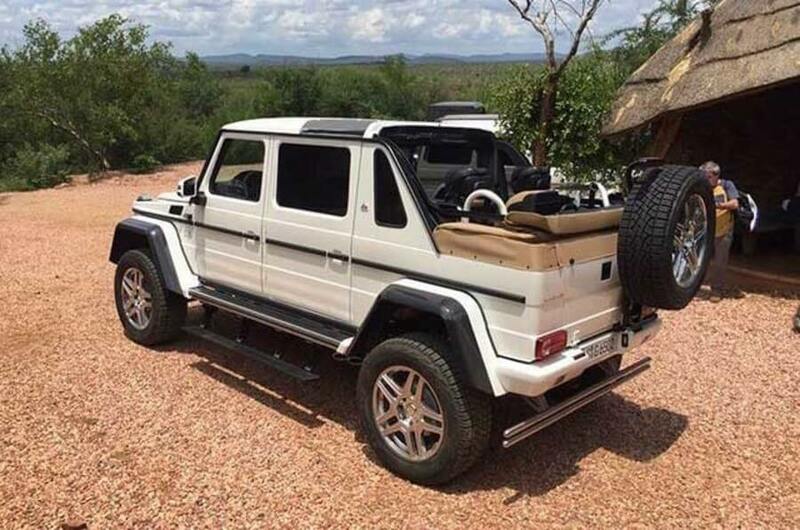 The rear compartment tells an entirely different story. Those “first-class” Maybach seats can recline nearly flat, they feature a vigorous massage system, and they’re accompanied by fold-out tray tables, as well as silver champagne flutes, supplied by Robbe & Berking, hidden in a separate compartment. 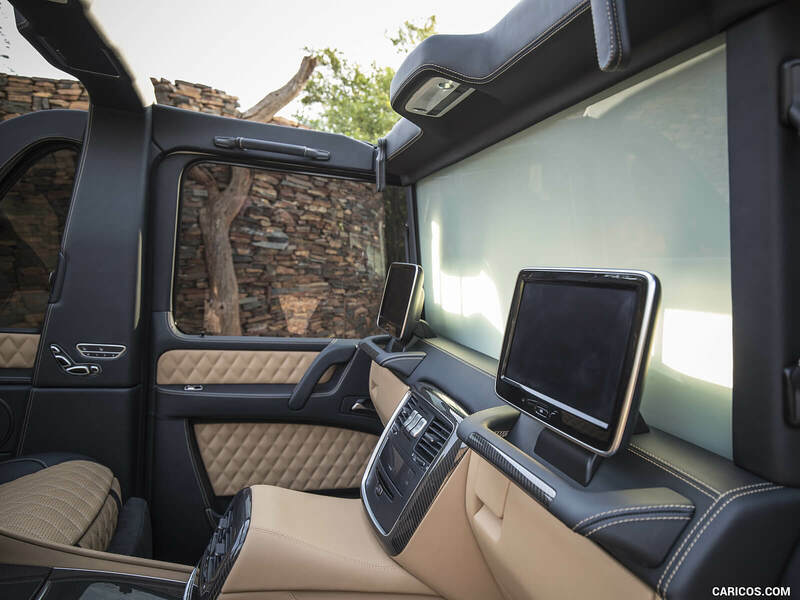 To underscore the flair of the G650—and the Landaulet nomenclature—the rear also contains a near copy of the G’s front center console and two glove compartments with covers identical to the ones up front. There are eight grab handles, and the electrically operated partition goes from clear to opaque with a flip of a switch. Two cuddly Maybach pillows complete the most lavish passenger compartment we’ve experienced since, well, ever. 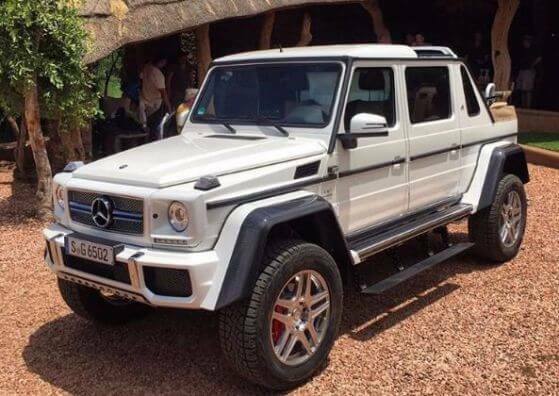 The G650 Landaulet won’t be sold in the United States, officially but We (Refined Marques) have the right connections to get them through official channels and delivered to the client.